Any clothes you donate, go directly to one of our clients, helping him look good, feel confident and increase his chances of a successful outcome. We need quality clothing and footwear in every size to accommodate the needs of our clients. We are desperate for shoes and larger size suits (above chest 44”) and smaller suits (chest 38”and below). We don’t have a budget for cleaning so very much appreciate that all donations are dry cleaned or freshly laundered and interview-ready when we receive them. We always need suits, shirts, ties, cufflinks and belts, and shoes. We also collect coats and warm jackets to keep our clients warm in winter. We would appreciate too any spare suit bags that you might have along with toiletries, new socks and underwear. 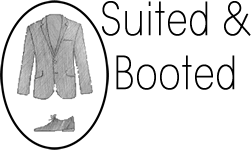 Should you wish to donate clothing to Suited & Booted please email info@suitedbootedcentre.org.uk , or call 07808 531 654. If you would like to organize a corporate clothing collection or ‘suit drive’ at your place of work then please click here for our guidance notes.